A chocolate avalanche of creamy and luxurious taste with Big Train's 20 Below sinfully decadent Frozen Hot Chocolate. It's Kosher Certified, coffee-free, easy to make and can be served hot or blended. The ultimate premium base mix offering a smooth velvety texture, decadently creamy, with a rich flavor. 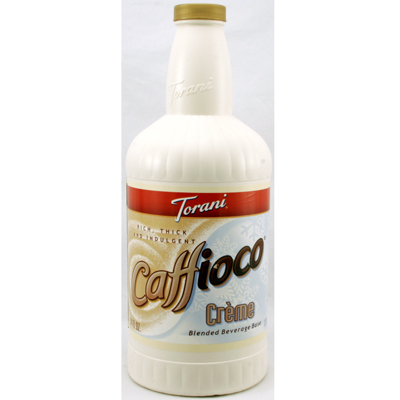 The perfect complement for your signature espresso and superb for hot and cold specialty beverages. The ultimate premium base mix offering a smooth velvety texture and a creamy rich flavor. The perfect complement for your signature espresso and for your hot and cold specialty beverages. This creamy latte-flavored drink mix provides a sweet caramel taste blended with smooth Arabica coffee. Made with fine Dutched cacao, natural vanilla, Hollander's Chocolate Frappé sets the bar for both flavor and performance. Pair with espresso, teas, or fresh fruit. Cold blended drinks have become increasingly popular. 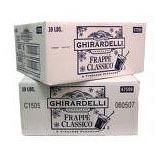 Ghirardelli's Frappe Classico is specifically designed to stay thick and not settle when mixed cold. Available in Double Chocolate and White Chocolate. Coffee Toffee Blended Ice Coffee features sweet bits of crunchy toffee blended with smooth coffee flavor. Create indulgent specialty beverages easily. Enjoy frozen, iced or hot. Cookies 'n Cream Freeze Blended Ice Coffee Mix features sweet bits of crunchy cookies and rich cream. Enjoy frozen, iced or hot.